Wikipedia Zero, a project launched by the Wikimedia Foundation to offer free mobile access to Wikipedia in emerging countries, is headed to Myanmar via a partnership with Telenor. 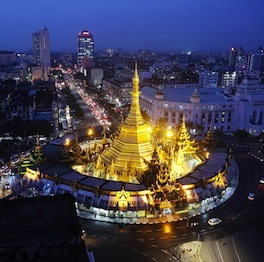 In June this year, the Norway-based carrier received one of the two national telecom licenses issued in Myanmar, and Telenor has said that it will start introducing voice and data mobile services in Myanmar starting next year. When Telenor begins its services in the Southeast Asian country, subscribers will get Wikipedia access without being charged for mobile data traffic. The once-isolated Myanmar has undergone dramatic changes following political reforms after its 2010 elections — and easy Wikipedia access will likely greatly benefit the citizens there by boosting their knowledge sources. Wikipedia Zero has been made available in 21 territories globally, several of them in Asia. It’s worth noting though that the program only applies to the mobile Web version at m.wikipedia.org, or zero.wikipedia.org, not the native Wikipedia mobile apps.